Thanks to Jo Linsdell now I feel more confident in planning and running a virtual book tour. A guide all authors should own. I love books like this that tell you exactly how to do things and then give you tons of resources at the end to put everything into motion. This is a must-read for authors who want to use this relatively new method of promoting their books. It is simple and straightforward, with step-by-step instructions. I will refer to it many times as I promote my own books and those of my clients. I don't read non-fiction that often. Even when I "read" it, I'm not "reading" but skimming over the parts that I could give two shytes about for the bits I want to read. The fact that I read Jo's book doesn't surprise me (most of the non-fiction I read has been writing-related). What surprises me is how FAST I read it. From the start of that quote to the end of the book, I was caught like a fish on the end of the line, being drawn in to the fisherman. When I began reading, I knew nothing about virtual book tours. Nada. Absolutely nothing. Now, not only do I understand them better, but I feel that I might be able to attempt one myself closer to the time I publish my own work. 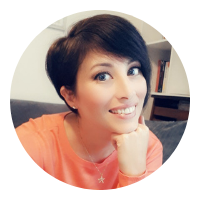 Jo uses simple, clear vocabulary to discuss book tours and everything needed to complete one of your own as well as gives information about what kind of tours there are, and how to go about setting one up. From the full definition and description of virtual book tours to discussions about what to include in a "media kit" - something I have never heard about before reading this book - Jo shows how easy and (most importantly) how rewarding a virtual book tour can be. If you're interested in doing or hosting a virtual book tour or, like me, need to discover what it actually is, pick up a copy of this book. You'll be glad you did! Miss Linsdell must be a genius. The information in this book is priceless and I will soon be putting it into action. I really though kins od wish she would have wrote it just for me. I just read Jo Linsdell's book, Virtual Book Tours, and it couldn't have come at a better time for me. I've read lots of books aimed at helping writers market their books but this one stands out from all the rest. It's easy to understand and the information is useful, not just filler for a book. It will be my guide as I plan and set up my virtual book tours and I'm sure, because of this book, they will be a huge success. I will be buying the hard copy once it is available. Thank you Jo! My virtual book tour was a rather fly by the pants event, so the planning section of the book was quite an eye opener, as it gives additional places to find reviewers and other methods I'd not thought about - like searching on Google - I did a search today for "PR Friendly Mom Bloggers" and I was blown away by the first search result, which was a linky directory with over 500 Mom bloggers, which will keep me busy for a while! There are also other invaluable links I will try out as well. One area that I could have improved on is that I could have done more interaction with my hosts and their readers, but I did convey my thanks to every host. However, I received an email the other day from a lady thanking me for an interview and a review I posted on this website and it was so enthusiastic and grateful - I'm not sure my paltry thank yous were enough! I must admit I did try to emulate Jo Linsdell's media kit for my trilogy of picture books, as I was intrigued by and a host for her Out and About at the Zoo picture book tour, but I really need to try press releases, creating some of the other promotional materials and carrying out the promotional methods revealed in this book. One piece of advice I will definitely take on board is to re-purpose content - I have a string of reviews and interviews out there on the internet, but they are not all on my media page, in fact at the moment I don't even have a media page, so that's a wasted opportunity right there. The resources in the book are phenomenal - there are lists of potential hosts, internet radio shows (I've not ventured on this ground yet) and much more and the final check list will be invaluable to me. A very well written and comprehensive book - after reading this, there can be no excuse not give a virtual book tour a go. 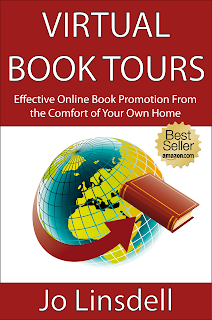 VBT Video Series: What are Virtual Book Tours?